Lyons is a British brand for cakes and biscuits that traces its roots to a chain of tea shops, first opened in 1894. Today, it is one of those unfortunate classic brands that are shared between two companies, with the cake brand owned by Premier Foods, while Lyons biscuits are made by Burton's Biscuit Company. 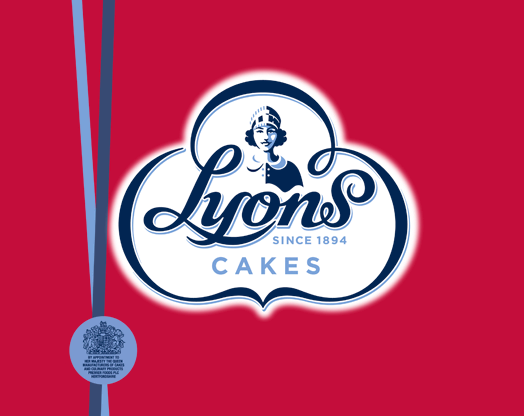 The two companies used somewhat similar, but different, designs until recently, when a completely new look for Lyons cakes was unveiled, created by JKR. They were also behind a new design for Mr. Kipling, another cake brand owned by Premier Foods. JKR delved into Lyons' heritage and created a design that reconnects to it. The waitresses from that worked in the old tea shops have been resurrected and are now present in the logo, which is put on top of single-colour "sleeves" that take up most of the packaging. May Company (Компания «Май» in Russian) calls itself "Russia’s leading tea and coffee producer" and sells tea under the brands Maisky and Lisma. This month, on June 15, it unveiled a new corporate identity, created by Direct Design Visual Branding, a Russian branding agency. The company celebrated its 20th anniversary last year, and the new look should reflect that by symbolizing "maturity, brightness, vitality, simplicity and stability". The logo combines custom-made letters for the word Май with an emphasized breve (the little wedge over the letter Й), representing "optimism and a postive attitude". The breve changes color depending on division, with burgundy used in the corporate logo. The logos are supported by a graphic device with ribbons in the colors of the company divisions. The European Broadcasting Union, EBU, is a federation of broadcasting organisations from Europe and its surroundings. Its members include virtually all government-controlled broadcasters and some private broadcasters with a public service legacy in the region. Best, or perhaps only, known by the public for organising the annual Eurovision Song Contest, it also arranges other events and provides technical services and an extensive news gathering cooperation. Last week at its 68th General Assembly, the EBU launched a new corporate identity, which seems to replace the symbol it has used until now with a simple logo consisting of nothing but the initials in plain Gotham. It is supported a by a blue and pink colour scheme and some shaded circles. Although nothing exciting, one should consider that European confederations of quasi-governmental institutions like the EBU can rarely agree on visual identities that aren't either terrible och bland. Also worth noting is that the French abbreviation, UER, has finally been removed from the logo. Discovery HD Showcase is a brand name used for channels from Discovery Networks available in several European countries that provide a selection of programmes particularly suited for watching in high-definition. The channels were first launched as Discovery HD starting in 2006, and got their current names in early 2010. This month the channel adopted a new look and a new logo. The two-row logo has been re-arranged, moving "HD" to the upper row, shifting attention to the word "Showcase". The previously flat logo has been given a transparent, seamingly gelatinous, 3D treatment. 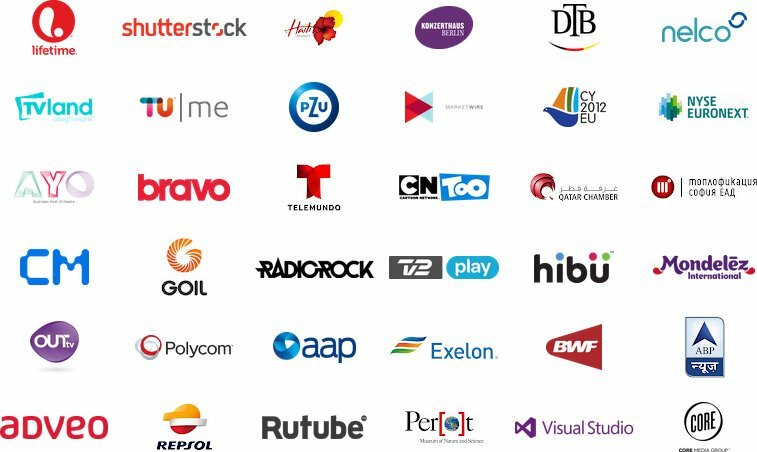 A part of Liberty Global, which was mentioned here yesterday, Chello is a European media company that operates cable channels in several European markets, including Central Europe, Spain and the UK. This week it announced that two of its channels in Hungary would be given new names. Filmmúzeum is a Hungarian classic movie channel that will be replaced by Film Mania, featuring more recent films from the 1990s and 2000s. Zone Romantica, a channel targeting women, will be renamed Film Café. Danish motion design studio Frame is credited for creating the new identities for the channels that launch on July 2. The Style Network is an American cable network dedicated to fashion and design. Originally launched in 1999 as an off-shoot from the E! 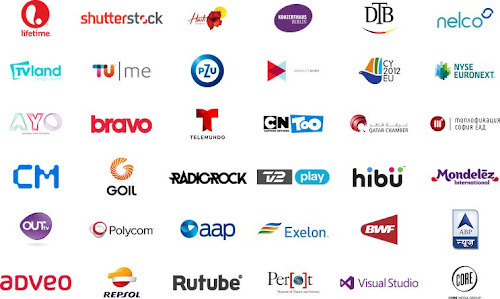 network, today it is now part of NBCUniversal and is distributed to many parts of the world. Yesterday, June 20, Style unveiled a new visual identity that will replace the circle it is using at the moment. The new logo is described as a "strong, classic midnight blue typeface word Style accented by a splash of light blue". It shows some typographic curiosity, as the period after the name is repeated at the beginning as part of the S. It also appears the logo is a dynamic one ("mutable", as the network puts it), meaning it can take on different patterns and colors. The conception of the new identity is described as a collaborative process, where the in-house creative director Bear Fisher gets a special credit. The new look launches on Monday, June 25, in the United States both on-air and on the website. It will start rolling out to other countries later this year, with a scheduled start in November. Liberty Global is a major international broadband and cable TV provider that has a strong position in several countries through subsidiaries like the UPC companies i several European countries, Unitymedia in Germany and VTR in Chile. This week, on June 19, it announced a new corporate identity. Liberty Global now adopts the "bloom" symbol that was originally created for UPC in 2007, and adopted by Unitymedia in late March. The corporate version is however drained of its colors. This rebrand also seems to make the Liberty Global name more present around the company. Back in August 2011 NBCUniversal made the anticipated announcement that their sports channel Versus would be renamed NBC Sports Network to take advantage of the NBC Sports brand. 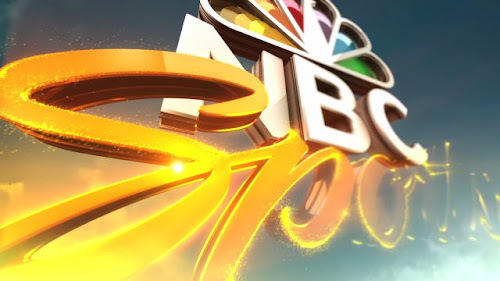 At the same time, it unveiled a new NBC Sports logo. When an article on the subject was published here, the only elements available from the new identity were low resolution versions of the new logo and a press release. After relaunching on January 2, the revitalised and expanded NBC Sports brand has been on the air for almost six months and we have seen plenty more of it. This month the LA motion design studio Troika unveiled the work they had done for the rebrand. Troika worked to refresh NBC Sports across platforms, including the rebranding of Versus into the NBC Sports Network. The result is a conventionally slick and fast-paced package filled with metallic logos and graphics in realistic environments. 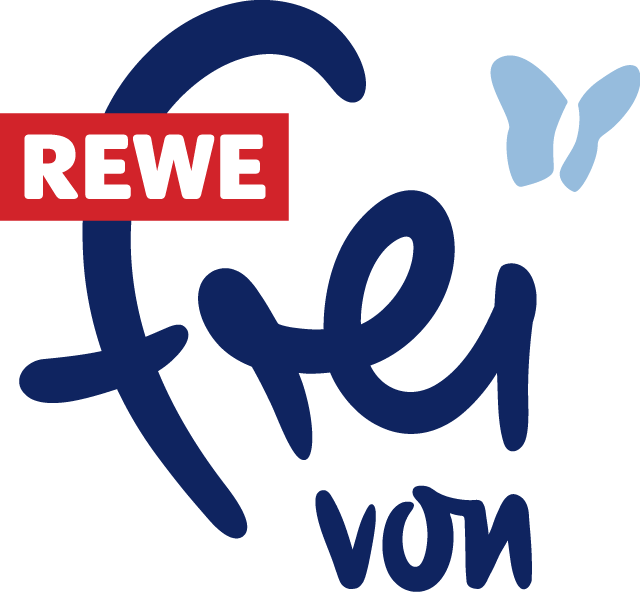 REWE frei von is a new brand for products that don't contain lactose or gluten, sold by the German supermarket chain Rewe. It was launched in April as "the new brand for food sensitive" (die neue Marke für Ernährungssensible) with the slogan "Enjoyment allowed" (Genießen erlaubt). The new identity and packaging was developed KW43 Branddesign in Düsseldorf. VT4 is the second most watched commercial channel in Flanders, the Dutch-speaking part of Belgium. In September, VT4 will be renamed VIER (Dutch for "Four"), while its sister channel VijfTV would analogously be called VIJF ("Five"). The new names were announced last week, on June 14. The channel has also unveiled a new logo, created by the London agency Why Not Associates, where a team is currently working to make the new look ready for the September launch. Vier wants to position itself as a a channel that is "at the same time very new and very familiar" and "exclusive to everyone". "Familiarity of the old" is apparently a "springboard" to launch the new brand, and the new minimalist logo has a stylish retro sensibility with its 60s TV screen shape. Marketing materials from Vier has the logo imposed on faded images from the 60s, 70s and 80s, although its not clear if they resemble what will ultimately end up on screen. Twitvid was originally created for people who wanted to share videos on Twitter, essentially a video version of Twitpic. Over time it has developed into a more independent site where people can discovery videos from Twitvid's own library as well as other websites. Some months ago it shed its Twitter-esque logo and last week, on June 13, it also announced that it would give up its old name to become "Telly". The logo above came with the announcement. On May 23, the International Olympic Committee announced which bids for the 2020 Olympics would be allowed to move on the the candidate phase in the selection. Tokyo, Madrid and Istanbul were granted candidate city status, while the bids from Baku and Doha were rejected. The logo Istanbul used for its bid for 2020 Olympics was a bit unconventional as it consisted of a wordmark combined with a pattern, and not the usual badge stacked on top of a wordmark. And last week, on June 13, it became clear that it will not be used in the candidate phase, as Istanbul 2020 launched an online vote where the public can select the logo they want. Whether this was because they organisers never intended the previous logo to be used in the candidate city phase, or that it was breaching IOC's strict rules on Olympic emblems, isn't clear. Olympic bids typically use the same symbol in both the application and candidate phase. In the event that Istanbul gets to organise the 2020 Olympics, they will have gone through three completely different logos. Swiss Football League is the name used by Switzerland's professional football league. Ahead of the 2012–13 season, it highest division has changed its name from Axpo Super League to Raiffeisen Super League after the banking group Raiffeisen replaced energy company Axpo as its name sponsor. To mark the new name, the league unveiled new logos last week, on June 15, for both the Swiss Football League, Raiffeisen Super League and the second division Challenge League. All three logos are based on the same template, a pentagon with a footballer and a football with the Swiss cross. Compared to some other logos in this genre, they are quite restrained. May was an exciting month for rebrands this year. Not only was there the annual crop of companies launching new corporate identities for their shareholder meetings, several TV channels unveiled new looks at the TV upfronts. And there were also several other high profile rebrands from around the world. As usual, readers are encouraged post a comment if there's something significant missing. Previous editions of the logo round-up can be found here. Viaccess a European conditional access system, one of several systems available that prevent you from watching TV programming you haven't payed for. It is owned by a France Telecom subidiary with the same name. Yesterday, June 13, Viaccess announced that it would merge its management structure with Orca Interactive, an IPTV middleware company it bought several years ago. The company is now called Viaccess-Orca and is using the logo seen above. Majesco Entertainment is an American video game publisher. Founded in 1986, it is nowadays successful with casual mass market franchises such as Zumba Fitness and Cooking Mama. Last week, on June 5, it unveiled a new corporate identity. The new logo should evoke "whimsical energy and movement", reflecting the company's current focus on active and approachable games. When the Spanish oil company Repsol introduced a new visual identity a few weeks ago, I mentioned that the company had suffered a setback when its Argentine subsidiary YPF recently became nationalised. Around the time Repsol adopted its new look, YPF also altered its corporate identity to mark its new management. The logo now includes the Argentine flag "as a symbol of the recovery of national sense". Odessa is a the third largest city in Ukraine, located in the south of the country at the shore of the Black Sea. Last week, on June 6, the city opened a "Tourist Information Center" and also introduced a new tourism logo. Created by Art. Lebedev Studio, the new symbol is a combination on an anchor and a heart shape. You may also imagine a lighthouse and some waves in it. As usual, the studio has developed and elaborate set of guidelines and applications that bring the new identity to life. The Canal+ name is used for major Scandinavian premium TV package, offering high-profile sports and first-run movies on several channels in Denmark, Finland, Norway and Sweden. Its name comes from the French Canal+ group who bought a group of premium movie channels called FilmNet in 1996, implementing its own name the following year. Canal+ eventually chose to divest from many of its international operations, and since 2003 the Scandinavian Canal+ and the French Canal+ Group have been completely separate. Last week, on June 7, it was announced that the Scandinavian company would finally give up the Canal+ name to become C More (pronounced in English). The relaunch takes place on September 4. The name isn't completely new, the company behind Canal+ Scandinavia has been called C More Entertainment since it was separated from Canal+ France. It has also been used for film channels in the Canal+ package some years ago. The official reason for the change is that the word "canal" (kanal means "channel" in Scandinavian) signals old-fashioned TV and doesn't reflect the new broadband offering. Another likely reason would be issues with continuing to license the name from its former owner. The logo above came with the announcement. The Sara Lee Corporation, owners of several consumer brands, is splitting up into two companies, one for its North American operations and one for its international beverage business, primarily coffee brands like Douwe Egberts, and bakery products, and another for its North American operations, primarily made up of meat-based food brands. This week, on June 5, the new corporate identity for the latter company was unveiled, which will start trading in July. It will take the name Hillshire Brands from one of its brands, Hillshire Farm. Other brands within the company are Ball Park, Gallo Salame, Jimmy Dean and State Fair, and the company will continue using the Sara Lee name for some products and its foodservice division. The visual identity was developed by Duffy & Partners, who has previously worked with the company's consumer brands. They were also behind a similar rebrand for the Malt-O-Meal Company earlier this year. One of the big topics on Twitter yesterday was that the service itself had launched a major update of its identity. From June 6, the familiar Twitter wordmark, with its regonisable T, is history. Twitter has joined those few brands that have such confidence in their symbol that they no longer feel the need for a wordmark. Twitter will now be represented by the blue bird alone. For its promotion, the Twitter bird has gotten a haircut and appears slimmer and more elegant. Its body is geometric and made up of a set of circles. The most noticeable change is the bird's trajectory. No longer comfortably flying above the ground, he is now soaring up into the air. Oh, the symbolism. Morningstar Farms is an American brand for vegetarian food, a subsidiary of the Kellogg Company. Recently, the brand introduced new cleaner packaging with a redesigned logo. Toplofikatsiya Sofia (Топлофикация София, meaning "District Heating Sofia") is the district heating company in Sofia, the capital of Bulgaria.Recently it unveiled a new logo that had been selected through a contest. Out of 400 submissions, the jury selected an entry created by a designer named Nevena Koleva, who also got to develop her proposal once selected. It features a stylized radiator and the degree symbol. The "radiator" also somewhat resembles the first letter in the company name. Schwartz is a UK spice brand owned by McCormick & Company. Recently, it started rolling out an overhauled visual identity and package design, created by BrandOpus. The aim of the redesign has been create more consitent packaging where the Schwartz brand takes a more prominent role. To achieve this, BrandOpus created a "blending device" that dominates the packaging. The old S with a banner gives way for two overlayed ellipses. CKx is an American entertainment rights company that has significant shares in television formats like American Idol and So You Think You Can Dance, but also owns the likeness on Elvis Presley and Muhammad Ali. In late May it was relaunched as CORE Media Group. Unipapel used to be a Spanish manufacturer of office supplies and stationery. After buying the hardware wholesaler Adimpo and the European division of office supply wholesaler Spicers, it has transformed itself into the "European leader in the wholesale distribution of office products, services and solutions". To mark this change, it adopted the new name Adveo last week, on May 28, after the approval of its shareholders. The new name is deisgned to be easily pronounced in all markets where the company operates. Adimpo, Spicers and Unipapel will remain as division names and have all been given new logos that match the new corporate identity while retaining colours and some elements from their previous identities. News Outdoor is the largest outdoor advertising company in Russia, taking its name from News Corporation, who onwed a majority stake until last year. As a result, it had to change its name, and on Friday, June 1, the company became Russ Outdoor. Other than the namechange, the company strived not to change too much, keeping both the color blue. The new symbol is also somewhat spherical, much like its predecessor. The typeface has received a cosmetic update.